Please make a reservation by purchasing an e-ticket below. Akihiro Nikaido, who is one of the most popular ceramic artists and holds solo exhibition for more than ten times a year vigorously not only in Japan but also in New York, Paris, London, Munich in Germany, Taipei in Taiwan and Beijing in China. 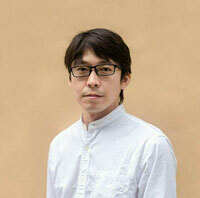 He is a leader of a young potters group named “To-ism (陶ISM)" since 2010, that 108 ceramic artists joined and more than 4,000 people visits their exhibition. Nikaido’s works fascinates renowned chef Yoshihiko Kousaka of KOSAKA in New York City, and chef Taku Sekine of Dersou, the best restaurant in Paris. The shape and texture of his works often shows nature such as weather or erosion of the earth; and other artworks make people feel a breath of contemporary and ancient period. He believes that Chanoyu, Japanese tea ceremony, embodies context of Japanese beauty and he often holds tea gathering to exhibit his works of art. Nikaido joined collaborative event “Wabi and Now” that believes in the potential value of being something more than art as a collaborative masterpiece, in New York in 2015 and 2016. This includes Tea ceremony, Calligraphy, Flower Arrangement, Ceramics, Culinary, Sake and Confectionery among their skills and talents. Cavin Morris Gallery in Chelsea, New York held a group exhibition "CEREMONIES: AKIHIRO NIKAIDO & YUKO KIMURA" in 2016 that was a great success. His latest show was held at Sara Japanese Pottery in May, 2017. Souheki Mori was born and raised in Japan. She has studied the Japanese tea ceremony for over twenty years under the Japan Association of the Tea Ceremony and received a certification as Japanese Tea Ceremony Master in 2003. Mori holds the title of Jufuku-an. In 2011, she has established Tea-Whisk in New York City to introduce the beauty of the Japanese Tea Ceremony with Junya Mori. In 2012, she became Contemporary Chanoyu Award Winner as a distinguished tea master. Mori has hosted and conducted the Japanese Tea Ceremony in numerous places, such as American Museum of Natural History, Grand Central Terminal’s Vanderbilt Hall for Japan Week 2012 and 2015, and Japan Society. She has given a lecture on the Japanese Tea Ceremony at New York University, Queens College, and Birch Wathen Lenox school and many others around Tri State. 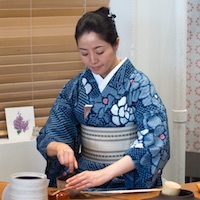 She has also joined the tea ceremony internationally, including World Tea Gathering in Mexico, 2013 and Iceland in 2014, and the London Tea Club in U.K.
Mori values her relationships with talented artists, collaborated with them, and held tea events and exhibits blending their creative worlds with her own unique approach to the tea ceremony. She believes that within the tea ceremony is a force invisible and precious, and that one can achieve spiritual growth through practicing tea.